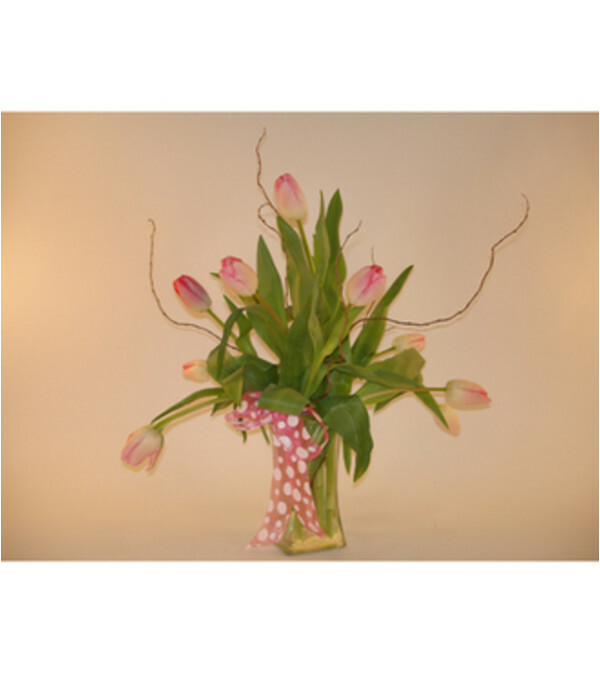 Pink tulips in a vase. A wonderful springtime arrangement. 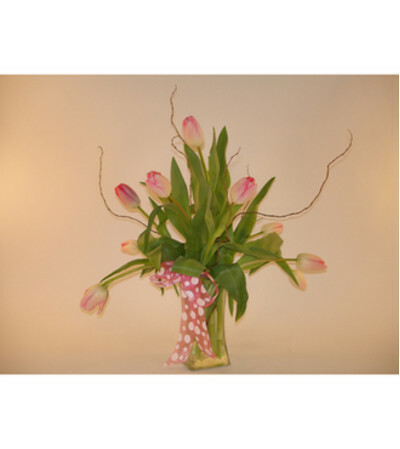 Tulip availability is largely limited to January through April. Advance notice is required for other times of the year, please call us directly for out-of-season requests.